TASB Volunteer, a Big Heart for giving! 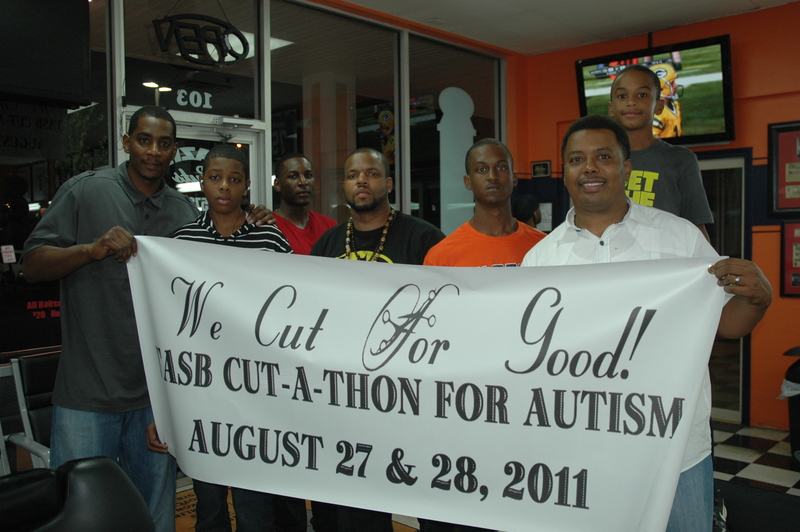 Jimmy Dickens and colleagues are gearing up for our 2nd, 24 hour TASB Cut-A-Thon for Autism, August 25 & 26, 2012. “We were extremely poor, and my mom and my sister—we lived in the Salvation Army for maybe five or six years,” he says. “There was a time when I couldn’t go out and play. Me and my sister would just look out through our window at the Salvation Army and play ‘that’s my car.’ I think about that during rough times in life,” says Dickens. Dickens says his childhood has influenced his call to give back to the community. 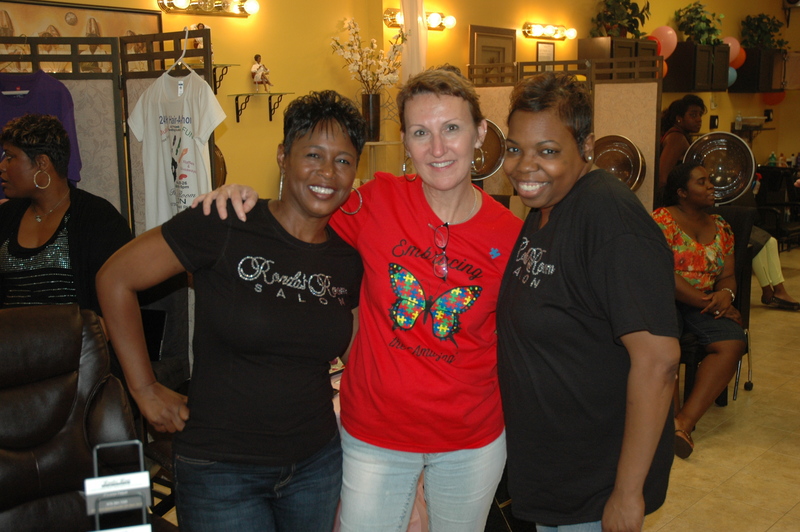 The barber shop hosts food drives and Thanksgiving dinners. It also offers free hair cuts to struggling mothers and unemployed people who are getting ready to go out for job interviews. Kids who can’t afford their own video games are welcome to come in and use the Playstation 3 set up in the back of the shop. Dickens says he’s been mentoring and speaking at local schools for years. He currently runs a mentoring program with kids in Kennesaw, Acworth and Canton. He also started a program for families living in transitional housing, offering free hair cuts and setting up talent shows for the kids. Barnes, 41, says he met Dickens about 20 years ago when they worked together in North Carolina. Years later, Dickens helped him through a rough time by offering him a job and a place to stay. Since the inception of TASB in 2008, we have watched this community of stylists and barbers blossom into what it is today. As a hairstylist of 30+ years, I had a dream of creating a hairstyling book, I am living my dream. Meeting many stylists, barbers and wonderful clients, who have become such dear friends, and the support of my family, TASB has been created and is here to stay. You might go to hair shows where you see many colleagues but TASB really brings stylists and barbers together. I can’t describe what’s happening with TASB, it’s like magic, and the great part about it is you can bring TASB to your community. We are here to help you in any way! You be the judge and check out how strong stylists and barbers can become when we join forces to make a difference in a persons life. As TASB continues to grow the possibilities are endless. We will share with our readers how TASB is making a change for the better. 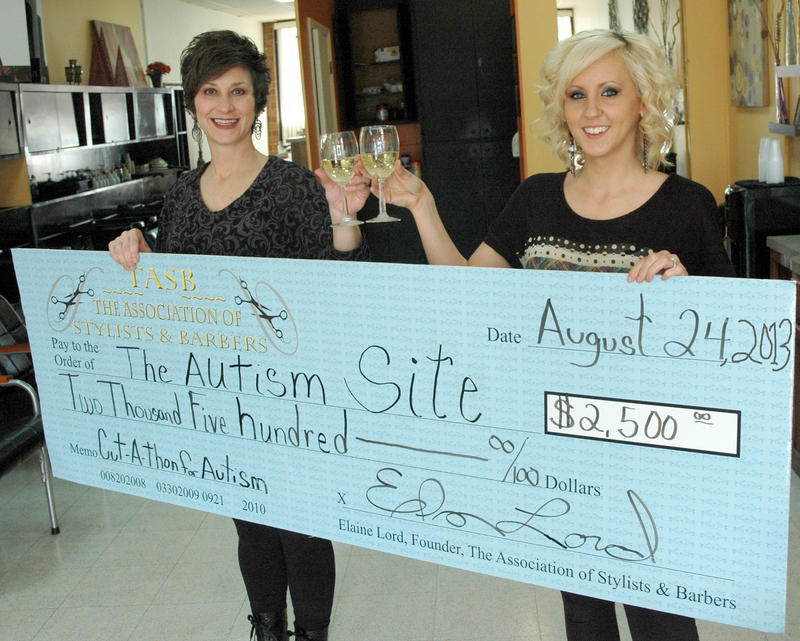 My hope is to see you as a TASB volunteer gracing the pages of Recognition with Style magazine. Enjoy!! Crank up the volume, gang! Here’s some of our talented volunteers cutting loose. Not a TASB Volunteer yet? Make it your New Year’s resolution to join our cause. Do good, feel good. And have fun for the better of the world!